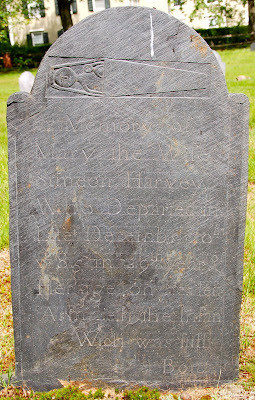 Mary Harvey was already the mother of nine children in 1785. She died in childbirth with her tenth. Her gravestone was carved by Solomon Ashley. Thank you so much for posting this! I used to teach history in Deerfield and would bring students down to the graveyard. Now I teach in Seattle so it was great to track down this hauntingly sad gravestone.